The amps are well burned in. The sound is so smooth and are well in valve amp territory.The sound stage is huge and the speakers literally disappear, and the detail is truly amazing. The bass goes low and deep with true authority. So Mike you have built one hell of an amp. I spent some time putting these amps together and the results speaks for itself. 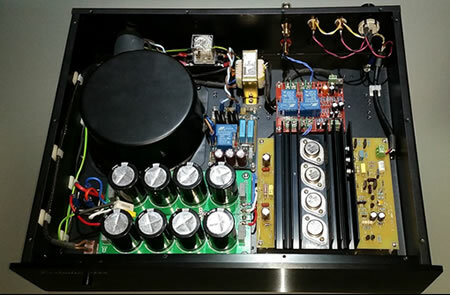 Just to let you know the pre-amp I am using is my Yamaha CXA-5100 Advantage Series home theater processor. 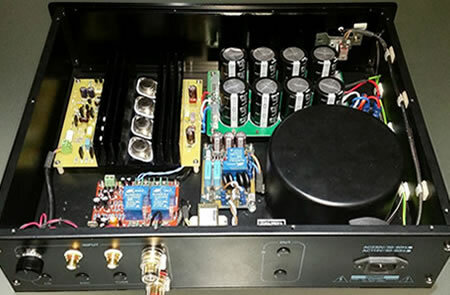 You may ask why, I used it to burn in the amps and was blown away by the preamp section used in Pure Direct mode. My last amp was a Copland CT501 and this setup wipes the floor of it.The speakers are revamped Energy Pro Moniter 22 and rare to find in good condition (tweeter failures common). The amps just take these speakers to whole new level. So a very happy customer Mike!